Today’s recipe is a simple one you can whip together in no time. 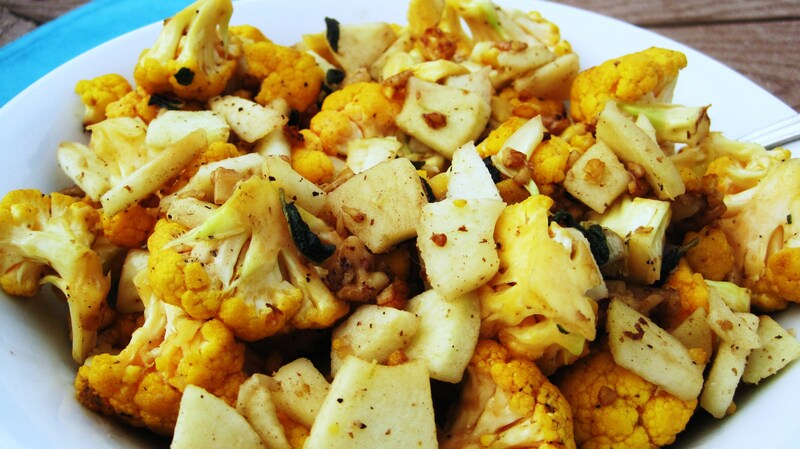 Makes for a great fall side dish! Sorry not much time to post today, but wanted to share this recipe with you! There is a lot of flavor in this little dish and I was shocked by how much my family loved this! I thought for sure it would of been to healthy for them, but I guess not!! 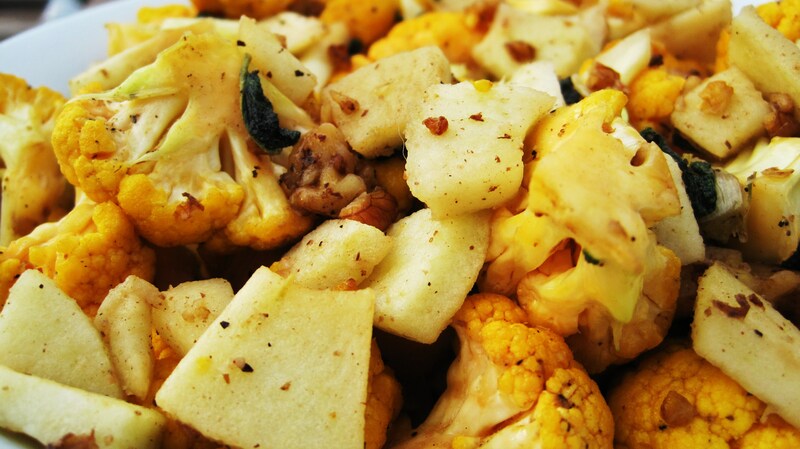 In a 12″ Skillet over medium heat add you Olive Oil, Cauliflower, Walnuts and Sage. Cook for 2 minutes, stirring occasionally, add about 1 tsp. 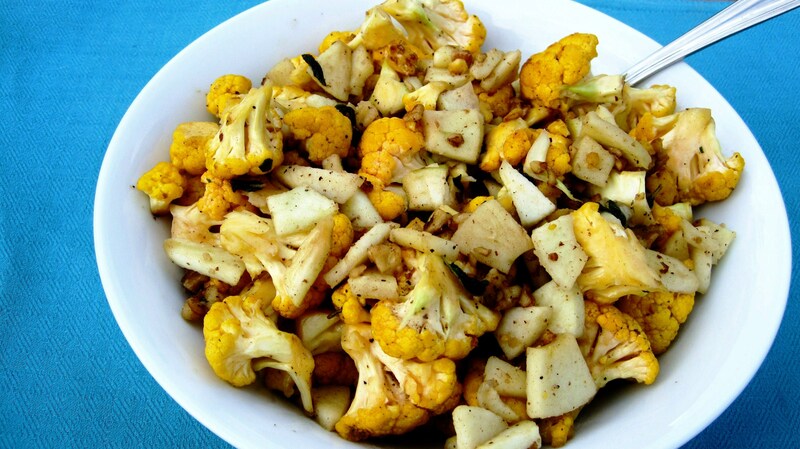 of salt and 1/2 tsp of black pepper and continue to cook, stirring occasionally, until all of the Cauliflower is browned and crisp-tender, 6 to 7 minutes more. Remove the pan from the heat. Add Apples and gently toss to combine and warm the apples. Season to taste with more salt. Serve hot or at room temperature. 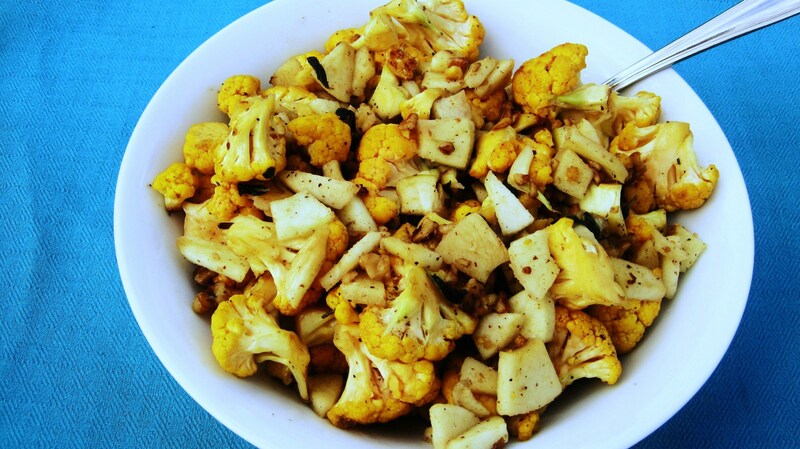 You can use white cauliflower, but the yellow is a little more sweeter, I like it better then the white! Plus it adds nice color! Have a super fabulous Saturday!!! Oh, I just wanted to tell my Husband Happy Anniversary!! 6 wonderful years together! Love ya!! I love this! 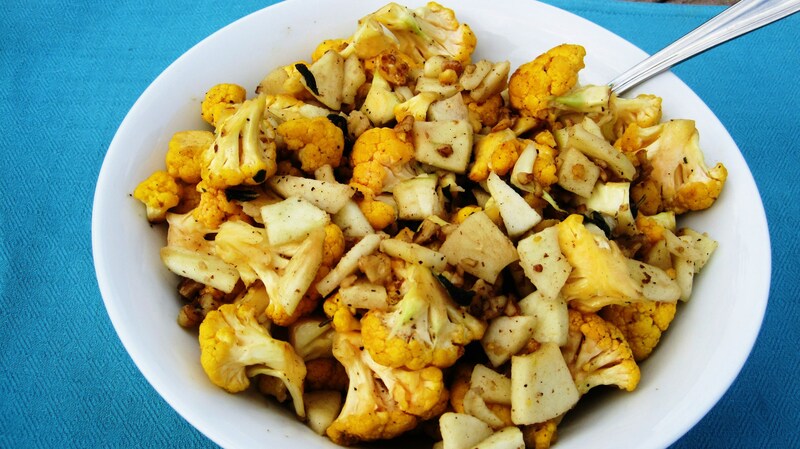 Cauliflower isn’t one of my favs but this seems like a wonderful way to jazz it up. Cauliflower ins’t one of my favorite veggies either, but with all the flavors in this dish, it worked! Plus getting the yellow over the white cauliflower made a difference!